According to experts the future of healthcare lies in harnessing the power of the internet. While the UK’s commitment to free health care is a commendable social benefit, Brits have become worryingly blasé when it comes to using NHS services. The NHS is overstretched and at the point of bursting, with people waiting for hours at A&E departments and patients waiting for days to see a tired GP. Experts maintain that the solution is encouraging the general public to use online resources before making an appointment with their local GP or rushing to the hospital. With My Web Doctor, the public can have unlimited access to a GP, professional advice and prescriptions while relieving the pressure from the NHS. My Web Doctor helps patients connect with health professionals efficiently with an expert online GP service. Unlike most other online doctor services My Web Doctor moves away from the standard pay-per-service plan. Instead the site offers members a low cost subscription service that is far cheaper than other leading providers. All patients are charged a flat monthly rate of £12.99 per month, regardless of age or health. This fee buys members a range of benefits including unlimited email advice, telephone consultations, free private prescriptions, NHS prescription delivery service, advice/referral for investigations and tests/referrals to a private specialist. Patients suffering from rashes, lumps, bumps and other ailments can upload pictures and receive a prompt review from a qualified doctor. For Brits living abroad My Web doctor is an incredibly useful resource for professional and reliable healthcare. Fronted by Dr Helen Webberley, My Web Doctor offers patients specialist healthcare advice drawing on over two decades of professional experience. In 1992 Webberley graduated with a Bachelor of Medicine and Bachelor of Surgery from The University of Birmingham, followed by official membership to The Royal College of General Practitioners. Post-graduate qualifications in Elderly Care and Child Health expanded her scope of expertise while specialist training in Sexual Health, Community Gynaecology, Genitourinary Medicine and Sexual Dysfunction saw her granted membership of the Faculty of Sexual and Reproductive Healthcare. Issued by Dakota Digital. For more information please contact Jade Cayton. Email: jade@dakotadigital.co.uk or Tel: 01623 428996. 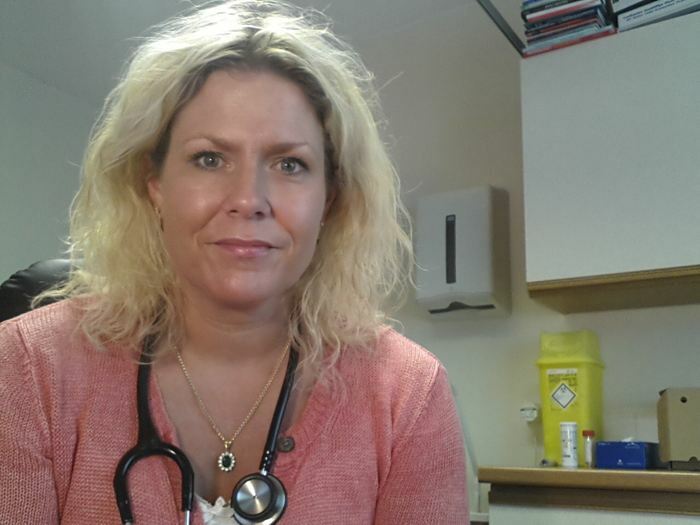 About My Web Doctor: Founded by Helen Webberley, My Web Doctor is a revolutionary online GP service providing affordable advice to everyday Brits. Members sign up for a £12.99 per month payment plan which gives them unlimited access to expert doctor’s advice and a range of other great benefits.